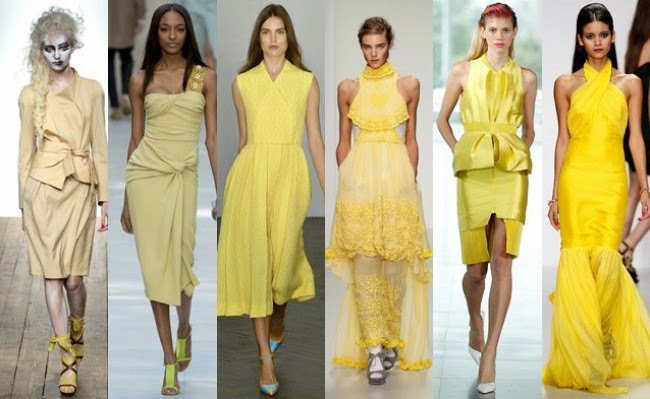 Yellow is the color that rises sensation every spring and summer. It's also refreshing and can be worn casually or formally. All the shades of yellow are perfect for energizing a neutral wardrobe with a shot of colour. What we've learned from Jeremy Scott's fall/winter collection for Moshino, is that this bold color can look even better when paired with another bold saturated hue. This week you are going to see our interpretations for wearing this hypnotyzing color. Below you can see our Polyvore sets which inspired us for this weeks theme.